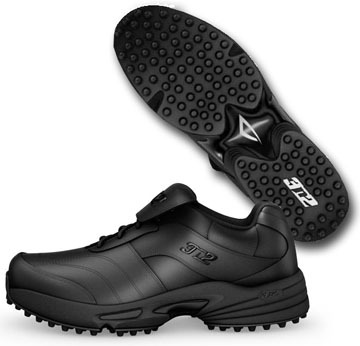 With wear-resistant, highly polishable, 100% genuine leather construction, Reaction shoes are a great call for the officiating professional with an eye on comfort and durability. At only 12.8 oz per shoe, they may be the lightest shoes in the game. Feature a trademark midsole specifically designed to reduce the knee and joint stress associated with game-after-game action, and the black on black color scheme officials prefer.